As well as the Pan America adventure bike, Harley will also launch two new middleweights in 2020. There will be a 1250cc Custom, which is the most traditional bike we’ve seen so far, and a 975cc Streetfighter, which is aimed at a similar audiencee as those who are attracted to say, a Triumph Speed Triple 1050 and the base Ducati Monster 1200. The new water-cooled engine will come in numerous displacements ranging from 500cc to 1250cc. 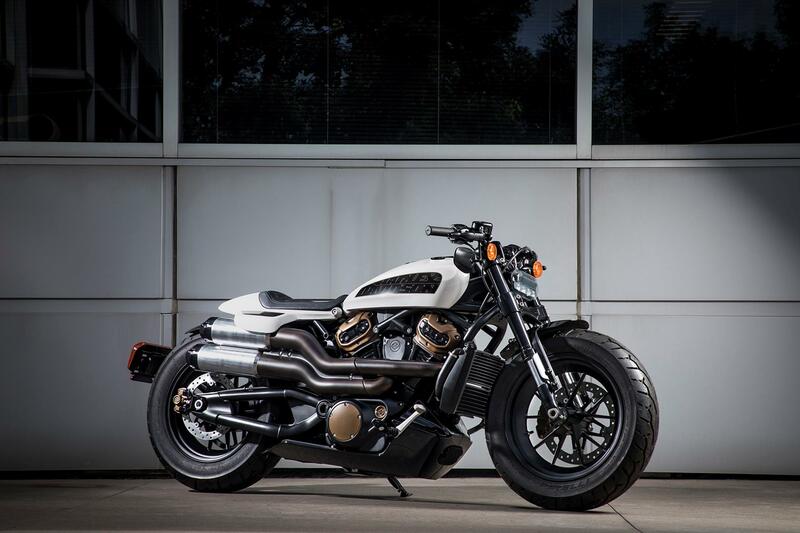 There will also be a few different frames (some using the engine as a stressed member), swingarm and front ends, so that multiple bikes can be made from similar running gear – a technique Harley have used on the current Softail range. This will ensure Harley will have models to cater for those taking their tentative first steps into motorcycle ownership, right through to the power hungry, corner carvers looking for big thrills while keeping costs down. Paired with these new engines will be fully adjustable suspension from Showa, Brembo monobloc brakes and sporty Michelin tyres. Harley say the new bikes will also have a proper electronics package and while they won’t be drawn on details we’re expecting lean-angle sensitive traction control, cornering ABS and adjustable rider modes. Of course these three models are just the start. In the ‘More Roads to Harley-Davidson’ that was released on Monday, there are snippets of other bikes in the background that we expect will make up the 16 new models between now and 2022. There’s nothing definitive but we’re expecting a faired sportsbike, a scrambler and a flat tracker. 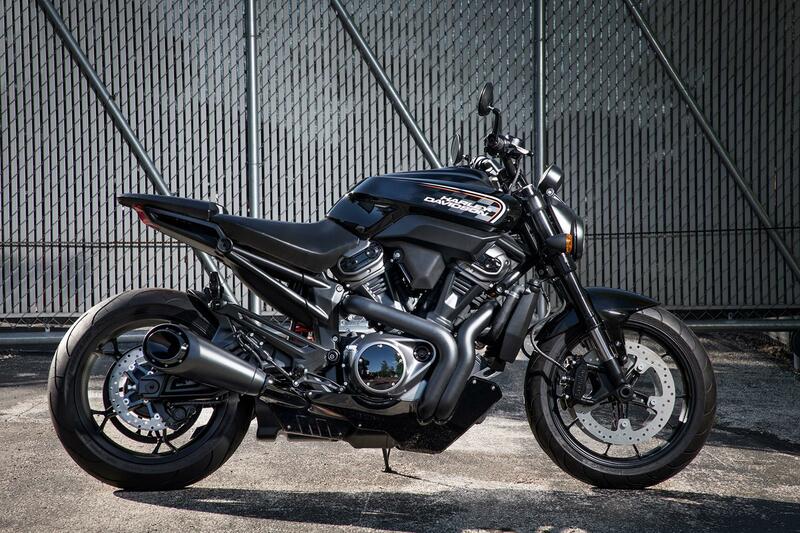 “Softail transformed people's perception of how a Harley-Davidson handles,” a Harley-Davidson spokesman told MCN. “With these bikes we're going to move things on again.